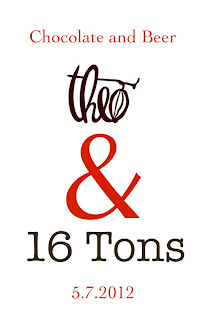 Details: A celebration of everything Pork! 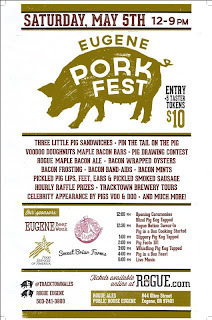 Join Rogue Ales Public House for the 1st annual Pork Fest. Enjoy Three Little Pig Sandwiches, a celebrity appearance by Rogue’s Pot Belly Pigs: Voo and Doo, Maple Bacon Bars, Live Music, Pin the Tail on the Pig, Corn Hole games, and Craft Beers! 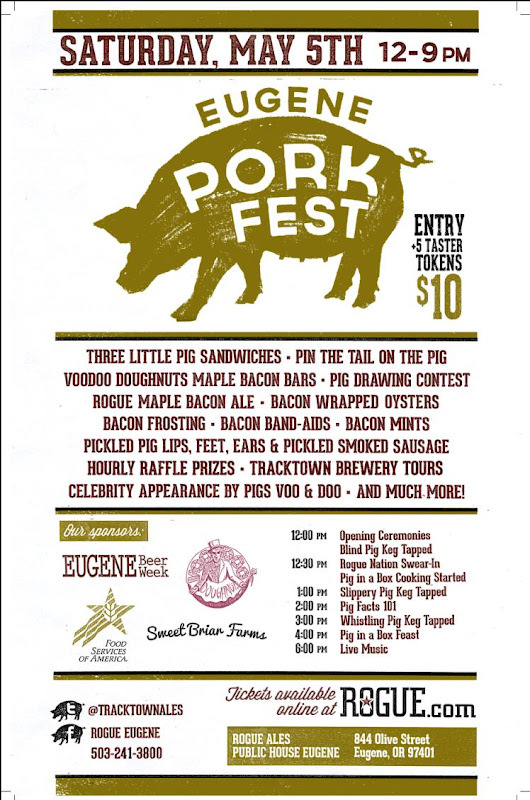 Pork Fest will be the kickoff festival to Eugene Beer Week. This event is dog and kid friendly. 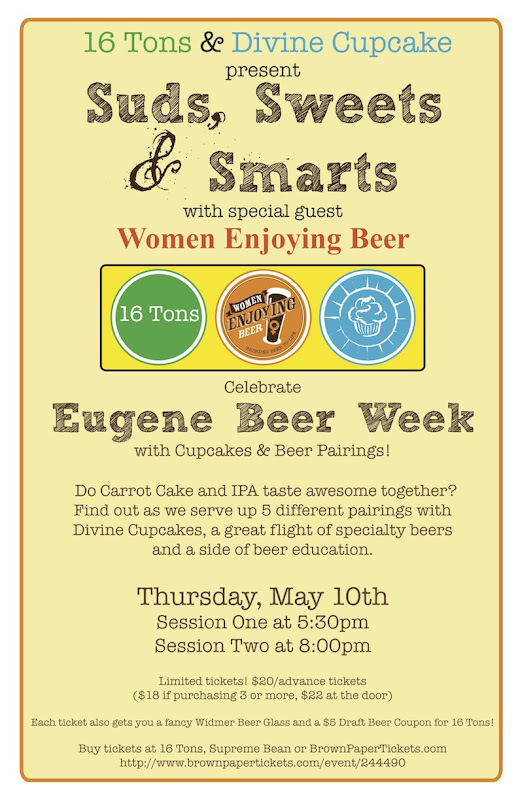 On Thursday May 10 we welcome The Divine Cupcake and Ginger from Women Enjoying Beer for tasting of 5 different cupcakes and 5 beers that have complimentary flavors. 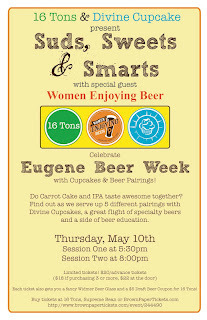 Flavors of Chile and Chocolate, Carrot Cake and IPA... We will also have an open discussion about beer and specifically talk about food pairings. 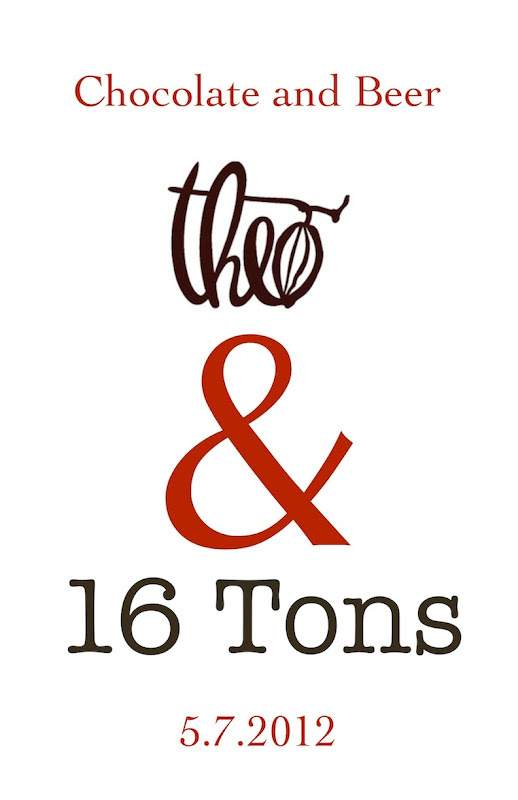 $20/advance tickets, $18 if purchasing 3 or more (at 16 Tons), $22 at the door (Session One 5:30pm, Session Two 8:00pm) also www.brownpapertickets.com. 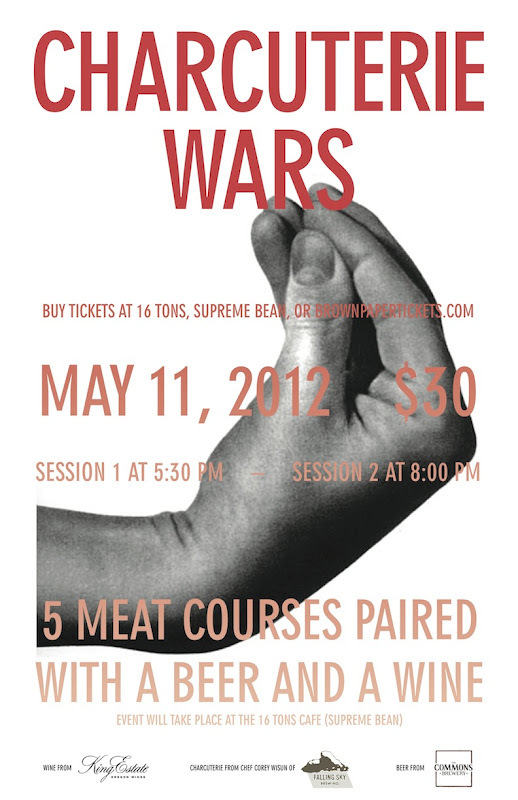 On Friday May 11 our Cafe will host CHACUTERIE WARS, a battle of Ancient Beverages. 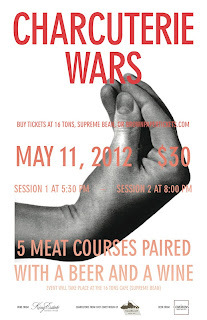 Five Courses of Charcuterie, each paired with a specific Beer and Wine. 1.Beet Cured Salmon - Pickled Ramps 2.Country Pork Terrine - Pickled Hopshoots 3. Duck Prosciutto - Tarragon Pickled Carrots 4.Chicken Liver Mousse - Sherry Pickled Shallots 5. Lentil Pate - Honey Potted Hazelnuts Featuring: King Estate Winery, The Commons Brewery, Charcuterie from Chef Corey Wisun of Falling Sky Brewery $30/advance tickets at both 16 Tons locations or www.brownpapertickets.com.